Krill oil and fish oil both come from our icy oceans, but one source of DHA (docosahexaenoic acid) and EPA (eicosapentaenoic acid) omega 3's is far better suited to the human body. That source is the red krill crustaceans, which make up the mainstream diet of some types of whale. There are a few others, but these rate the highest. Fish Oil Bad For You? No, fish oils have been used as a supplemented source of omega-3 for many decades. The main supplier of fish for use in fish oil today, is Peru. They fish 25% of the worlds fish oils, usually anchovies and sardines. Fish oil is high in EPA and DHA fatty acids, which protect cell membranes all over the body. They regulate and reduce triglycerides, which means you have lower cholesterol. But, there is a problem with fish oil. Both are animal origin sources of omega-3 essential fatty acids, but the EFA's in fish oils are characteristically unpredictable because of the way the fish are often transported to market, then to oil production. So, you may get a quality product with fish oil, or, you may not. Even from the same product label. It depends if the fish were caught in cold seas, not chilled immediately, and then transported through warm tropical waters. 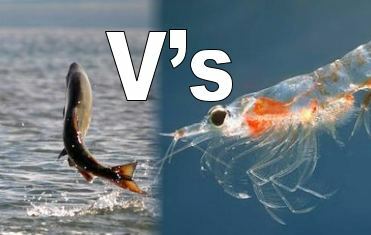 Krill oil is safer than fish oil for that reason, and the following one. To get the fish oil, it is sometimes heated with alcohol which forms FAE's (fatty acid esters), which is the same way biodiesel is produced when glycerol is used. Krill oil gives the body more omega-3 fats it can actually use, and contains important, healthy elements that fish oils do not have. Krills reddish color comes from astaxanthin, formed because of their natural diet, algae. 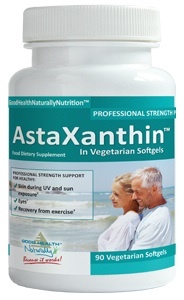 Astaxanthin is a powerful, natural antioxidant which protects your bodies cells and tissue make up from the free radicals which surround us every day. A daily dose of krill oil will protect your cardiovascular system from cholesterol build up, as a result of free radicals. 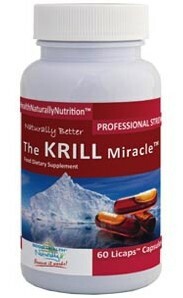 Krill oil is phospholipid based, unlike fish oil, which is triglyceride based, making it more useful to the body. They are a natural fat which shields the cells from basically disappearing when they are transported through the blood system. Cells which do not get protection from phospholipids are exposed to stresses of the body and microorganisms that are in the process of being filtered out of the body. When they are exposed, they dissolve and die. If you want full protection for your heart system, skin, brain function, nervous system, and to keep your stress hormones at bay, a quality source of krill oil is hands down what you need. Clinical double blinded studies and trials of krill oil prove that it is far superior fish oil, or any other form of omega-3 essential fatty acid.